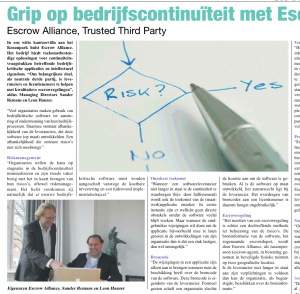 Escrow Alliance resides in a white office villa situated at the Kenaupark in Haarlem, the Netherlands. The company offers future proof solutions for continuity of business critical software applications or solutions that contain intellectual property. 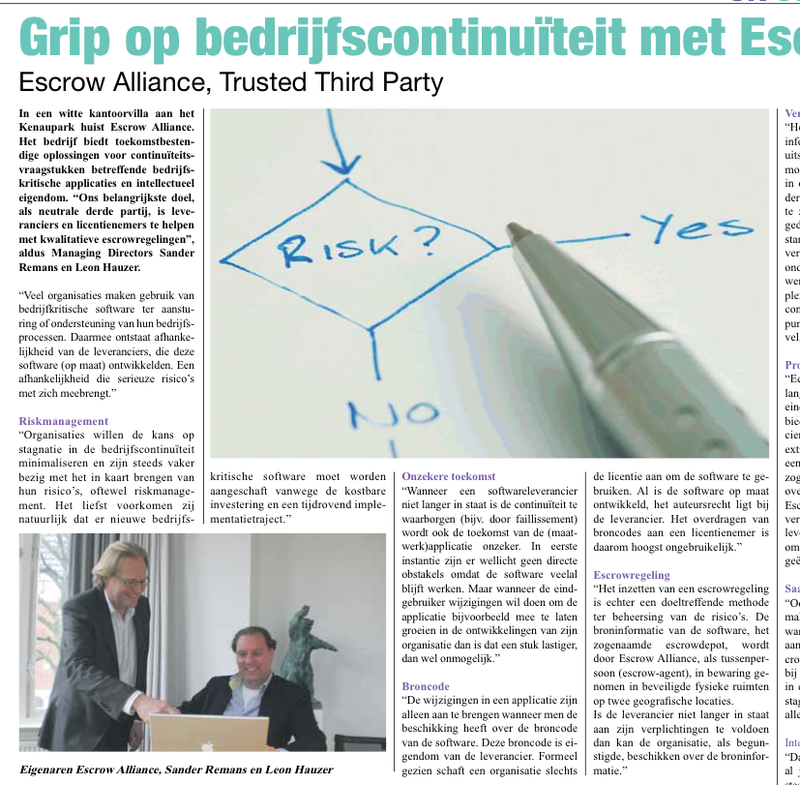 “Our main goal, as neutral and trusted third party is to help suplliers and their licensee with kwalitatif escrow solutions”, according to their Managing Directors Sander Remans and Leon Hauzer. Many organisation use business critical software to control or support their business processes. This creates a dependancy of suppliers who developed the (bespoke) software. A dependancy that might cause serious risk.